For more than five decades, Cliff Mitchell has greeted KASM listeners with farm noises and a gospel song, and a cheery greeting. On Mitchell's last day Wednesday, the radio station is bustling with visitors. Mitchell's entire family is there, watching him from another room through a clear glass window. So are reporters and photographers. The phones have been ringing nonstop from listeners who say they've grown up hearing Mitchell's broadcast and will miss him dearly. After he gets off the air, Mitchell takes a call from a listener who congratulates him on his retirement. "That's what they say it is. I just quit. I don't know if I retired. I don't know what that means," said Mitchell. The North Dakota native moved to Minnesota in the early 1950s to attend to Brown Institute, a broadcasting school. It wasn't long before he started working at KASM, a small AM radio station that caters to farmers. Mitchell admired TV and radio broadcaster Arthur Godfrey. So from a young age, working in radio was one of his many goals. 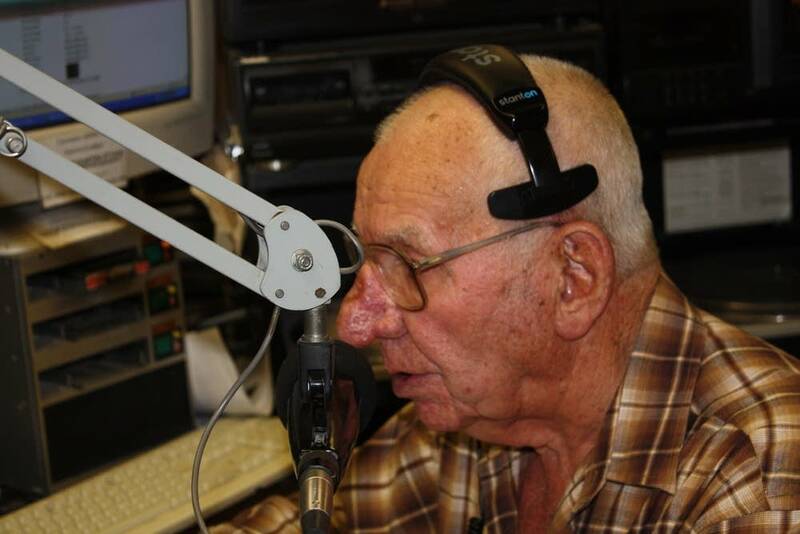 "One was that I wanted to be a radio announcer, one I wanted to be an auctioneer, one I wanted to be a fireman, one I wanted to be a rodeo performer," said Mitchell. "And I did all four of them at some point in my life. But I've been around a long time, because I'm 80 years old." Mitchell created much of his own programming. 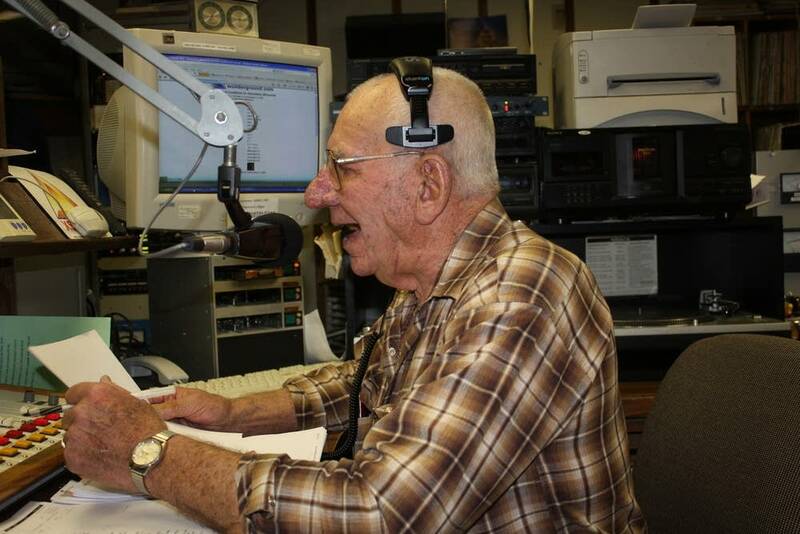 In his early years on the radio, he played polka music for the farmers and called it "milking music." He'd go to work at 3:30 in the morning to prepare for his 6 a.m. shift. First, he'd run market reports and news. Then, he'd follow with his guest program, which he named "Aunt Sara's Party Line." No one knows who Aunt Sara is. Mitchell invited politicians, farmers, and even presidents onto his show -- he says he interviewed Dwight Eisenhower and the first President George Bush. The station doesn't keep any archival tape of its programming, so there are no audio records of Mitchell's interviews. Coworkers did record his last day on a cassette tape. And so did his daughter, Karen Mitchell-Schleicher, who got teary-eyed as she observed her dad sitting his studio. "I was bawling last night," she said. "I am very, very proud of him. He's just done a lot, and he's always been a great dad." The day before, Mitchell had the Stearns County sheriff on his show. Mitchell-Schleicher heard her dad reflecting on his career, and was surprised to hear him tell the sheriff he regrets neglecting his family. "And I thought, you never did, dad. 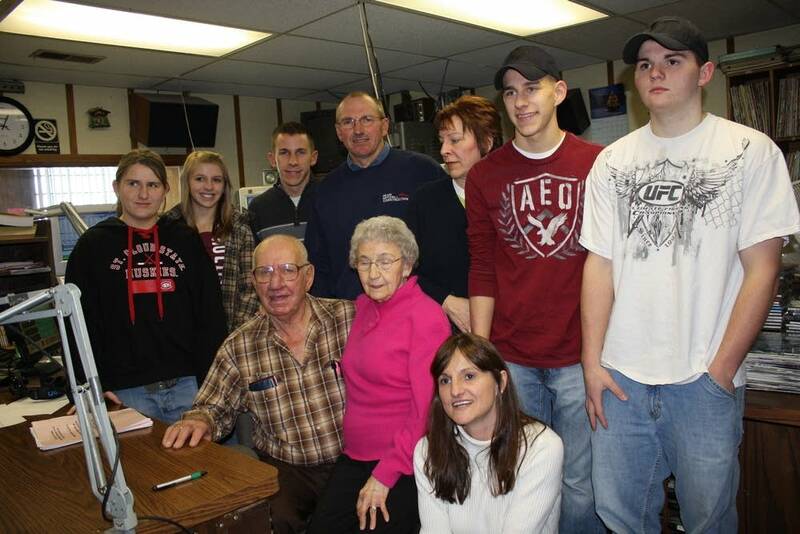 He was always there for us," said Mitchell-Schleicher. "But he's always been there for the community, and the station was his life, and we knew that. And I wouldn't change a thing." On air, Mitchell liked to crack jokes. He told his listeners he has 19 siblings. When people asked if that's true, he would say they'd have to look at the Mitchell family portrait to find out. Off air, most people describe Mitchell as a private and humble man who doesn't like to be in the spotlight. One of his co-workers suspects that's the reason he gave just two days notice on the air that he was quitting. Mitchell was inducted into the Minnesota Broadcast Hall of Fame in 2002, and the National Association of Farm Broadcasters Hall of Fame in 2005. He's not one to brag about which of his shows are his favorites. Instead, he says every single one of them is his favorite. But his co-worker Joe Gill says hands down, people loved Aunt Sara's Party Line, especially when Mitchell had a local horticulturist as a regular guest. "You get the feeling when you see the two through the window, it's two guys sitting, having a cup of coffee, talking about home and garden and items like that," said Gill. "And it never fails, every time he's on they don't have enough time for questions. They always run out of time and the phone line is lit up the whole hour." Cliff Mitchell says he doesn't know what he'll do next since, in his words, he's not retiring. But he has a few ideas where to start. "Make a pest out of myself around the house and probably get that 'honey-do' list down." As for his listeners, some say Mitchell can't really be replaced. Station management acknowledged as much, saying Mitchell will be "forever missed" as the morning voice of KASM radio.